A meteorite thought to be one meter (3.3ft) in diameter and "bright like a shooting star" lit up the Queensland sky and produced a shuddering boom as it crashed into the sea off Australia. The incident occurred at about 8.30 p.m. local time Monday near Gladstone in central Queensland, and apparently resulted in a tremor, according to Geosciences Australia. University of Queensland astrophysics professor Michael Drinkwater said: "I think this was a fireball. That's a really bright meteor. This one would have been larger than usual if people heard sounds or vibrations. "Meteors typically are only visible when they are still very high, 50 to 120km in altitude. It's well above the speed of sounds, so it will create powerful super sonic boom or shockwaves." Witnesses to the extraordinary event have flocked to social media. 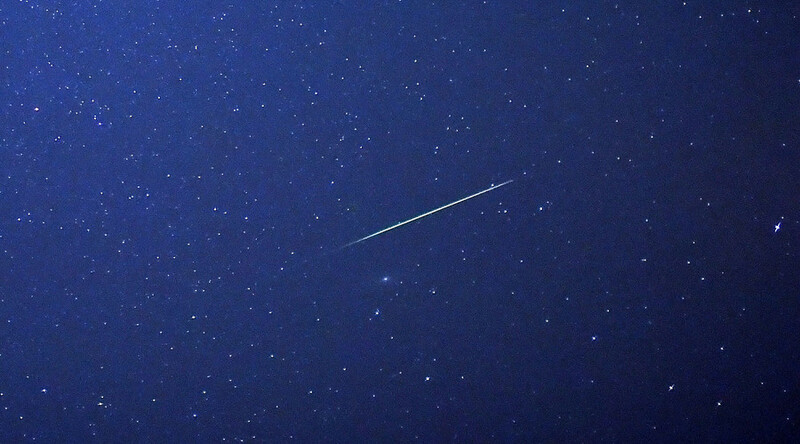 Jacques Reimers saw the meteor move across the sky from a nearby beach and posted his experience on Facebook. A number of Gladstone residents reported loud noises and the aftershock to Queensland Police following the meteor’s crash. Police, however, said that while they didn’t know what happened, they knew who might, posting a picture of the X-Files’ Mulder and Scully to social media. Harvard astrophysicist Jonathan McDowell said the meteor was the “first in several years that has been that big,” according to the Gladstone Observer.